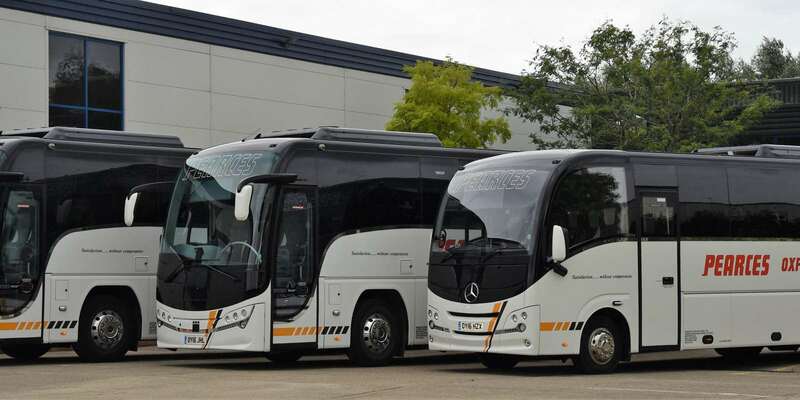 Established in 1970, we are to this day still a family operation, offering the finest selection of new and late registered luxury coaches in Oxfordshire, from 25 through to 61 seats. We have an extensive portfolio of clients, not only from the UK, but from around the World. 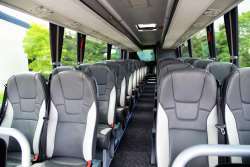 We can now offer our brand new 72 seat coach for hire. 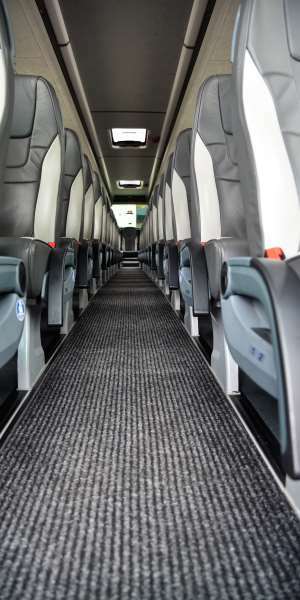 Our large coaches can seat 53, 57, 59 and 61 passengers. 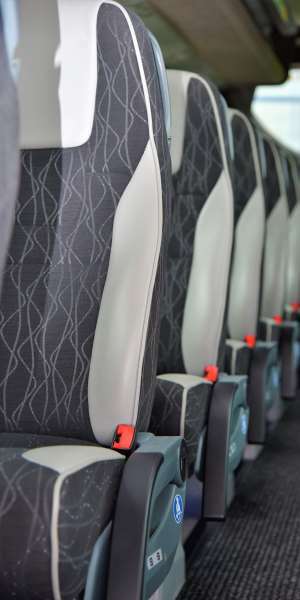 For medium sized groups, our mid-range coaches can offer 41 seats. The smallest of groups are well catered for too. All our vehicles are purchased new, and maintained in house by our own fully trained technicians. This ensures the paramount concerns of safety and reliability are strictly endorsed. not only from the UK, but from around the World. 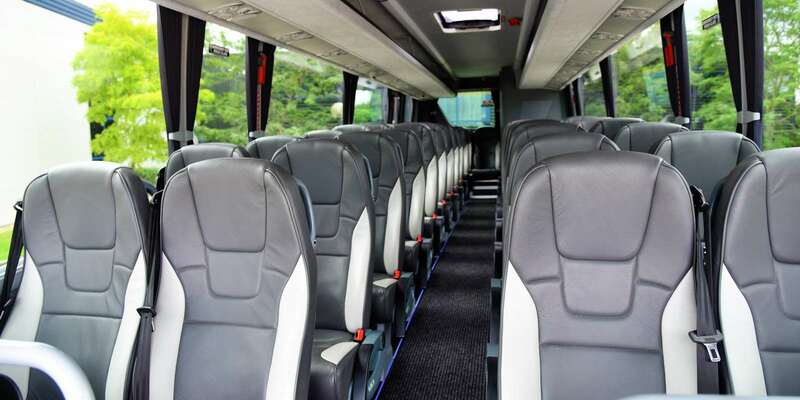 Around 90% of our business is from customers who are delighted with our service, and are happy to entrust our company with their group travel requirements. Thank you for taking the time to peruse our website. We hope you found it informative. If you have an enquiry, or we can be of further assistance, please email us via the contact page, or call us on the telephone. We are the leading coach operator in Oxfordshire, and our coaches are tastefully appointed with many of the following enhancements. 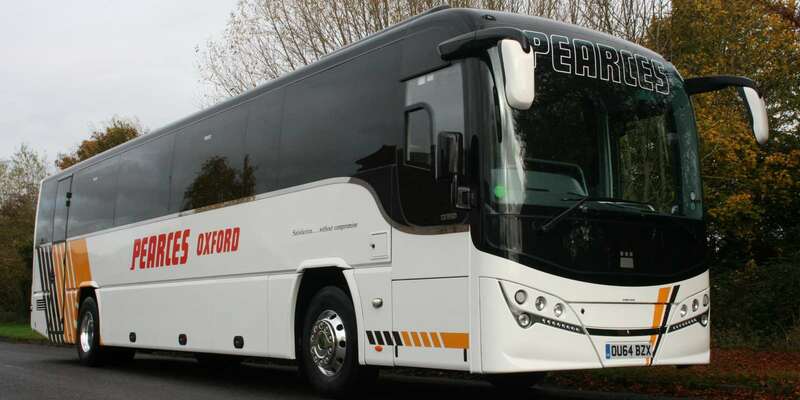 For luxury private coach hire in Oxford, Oxfordshire, Pearces Private Hire Ltd have the quality and experience you would expect. 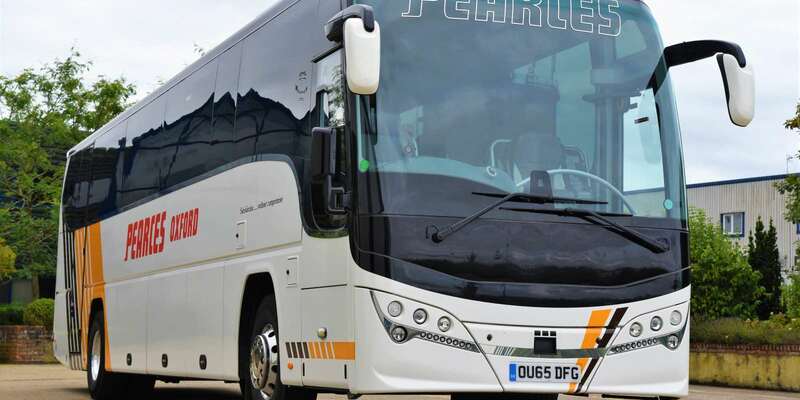 Established in 1970, we are to this day still a family operation, offering the finest selection of new and late registered luxury coaches in Oxfordshire, from 25 through to 72 seats. We can now offer our brand new 72 seat coach for hire. This high capacity coach features leather trimmed seats, and is perfect for larger school groups. All our vehicles are purchased new and maintained in-house by our own fully trained technicians. This ensures the paramount concerns of safety and reliability are strictly endorsed. From your initial enquiry, you can be assured of helpful advice from courteous office staff, right through to your hire for which we have our personally selected uniformed drivers, offering a completely professional service to enable your hire to be as successful and enjoyable as possible. All our drivers have current CRB/DBS disclosures. We are the leading coach operator in Oxfordshire, and our coaches are tastefully appointed with many of the following enhancements. Leather trim, reclining seats, quality PA system, monitors for presentations, full draw curtains, carpeted flooring, and some with W/C. We can also boast the enviable luxury of air conditioning in every vehicle. Likewise, during the colder weather, all our vehicles are fitted with heating systems which work independently to the engine being switched on. 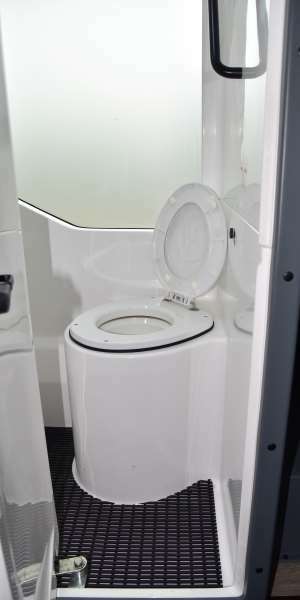 These facilities ensure passengers are comfortable on journeys even with the extremes of the British climate, therefore never compromising your comfort or complete satisfaction.